COLONIAL WILLIAMSBURG, January 24, 2019. 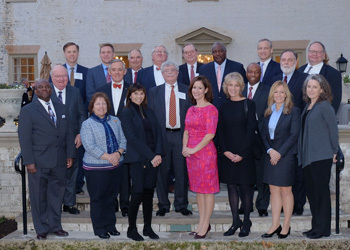 The Virginia Law Foundation is pleased to announce its 2019 Class of Fellows. Nominated confidentially by their peers, Virginia Law Foundation Fellows are recognized for leadership both in their practices and their communities. The Class of 2019 joins a group of nearly 500 of the best and brightest legal practitioners in Virginia who are committed to the highest ideals of the law and to the concept of citizen lawyer.